Dec 18 House bullies crave for road fund pork? Dec 04 Pope is endorsing Duterte drug drive? Nov 22 Key question: Can we trust Duterte? Nov 18 Duterte is China’s voice in ASEAN? Nov 15 Is there a warrant for Imelda’s arrest? Nov 13 Imelda at 89 is too old to be arrested? Nov 01 Troops sent to BoC to test law’s limits? Oct 30 Who’ll now police the police, general? Oct 16 Mega-lotto bettors can gun for P35-B! Oct 14 ‘Red October’ plot: Was it ever there? Oct 11 Duterte announces he is free of cancer! Oct 09 The daily question: Who is in charge? Oct 04 Welcome, Mocha, to private media! Sept 27 Overkill: Trillanes looking presidential? Sept 20 RTC judges’ courage to rouse SC justices? Sept 16 Can’t Duterte just ignore Trillanes? Sept 13 Who warned Duterte of plot against him? Aug 30 NAIA’s twin gate: Clark or Bulakan? Aug 19 Duterte ‘telling’ PET to favor Bongbong? Aug 16 Believe sniffer dogs rather than Duterte? Aug 14 Just let Customs go to the dogs! Aug 09 The majority picks the minority leader! Aug 05 Casinos: Location, location, location! July 12 Du30 not resigning, not tired, after all! July 05 Climate of fear: A conditioning? July 01 Who’ll give in first in CBCP-Du30 tiff? June 24 Duterte rants on, calls God stupid! June 21 No arbitral court to hear Phl plea? June 05 That kiss was gross. Beso-beso na lang! June 03 US assurances too little, too late? 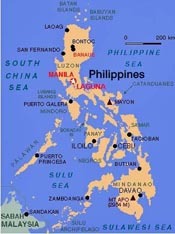 May 27 How many islands does Phl still have? May 24 Du30 China policy has public support? May 17 Is Duterte a traitor or plain pragmatist? May 13 Just lost a battle? Keep faith, fight on! May 06 Can Duterte say no to the Red Dragon? May 03 DFA amateur hour over for Cayetano? May 01 Will Duterte keep his word to Labor? Mar 27 Betrayal: Was it fate or human frailty? Feb 27 Can China defend SCS island bases? Feb 25 US on Du30 image: It’s all over media! Feb 22 Foreign bases ban: Is China exempted? Feb 18 Be first to name sea site, and it’s yours? Feb 04 Was death due to, or despite, vaccine? Jan 25 What’s ‘fake news’ in the real media? Jan 11 We’re a happy lot. So why Cha-Cha? Jan 09 Change the system, or its inept officials?